Aircraft:Bill Alderson, Jim Youngken, Peter Lohr. The EAC ATR 72 aircrafts are fitted out in a 54 seat arrangement offering a generous seat pitch of 107cm (42ins). 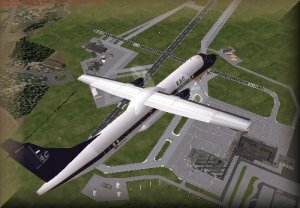 The ATR 72 flew for the first time in 1988 and is an enlarged version of the popular ATR 42 twin turboprop regional airliner, a joint design from Aerospatiale of France and Aeritalia (now Alena) under the name of Avions de Transport Regional. French Certification was received on September 25th 1989 with FAA Certification shortly after. The ATR 72 differs from the basic aircraft in having redesigned and longer wings from the outboard of the engines with a significant portion now constructed from composite materials. More significantly the aircraft features a 4.5m (14ft 9in) fuselage stretch to accommodate a significantly greater number of passengers. The ATR 72-210 was produced to answer calls from airlines to increase take-off performance and is optimised for hot and high operations. Engine power from the PW127 engines is increased to 2480 shp and a new 4 blade prop has been introduced. European Airways Company operate 42 ATR 72-210. 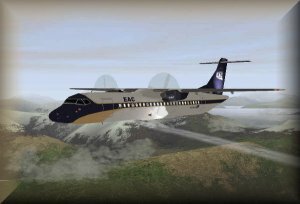 All of the EAC aircrafts have been refitted according guidelines set down by EOAC regarding seating arrangements. The EAC ATR 72 aircrafts are fitted out in a 54 seat arrangement offering a generous seat pitch of 107cm (42ins). ...ATR had really received orders for a further 42 ATR 72-210 from a single large airline? Not a lot. Total ATR 72 orders would have increased by about 15% but this is already a successful airliner which is still under development despite changes in the company structure.